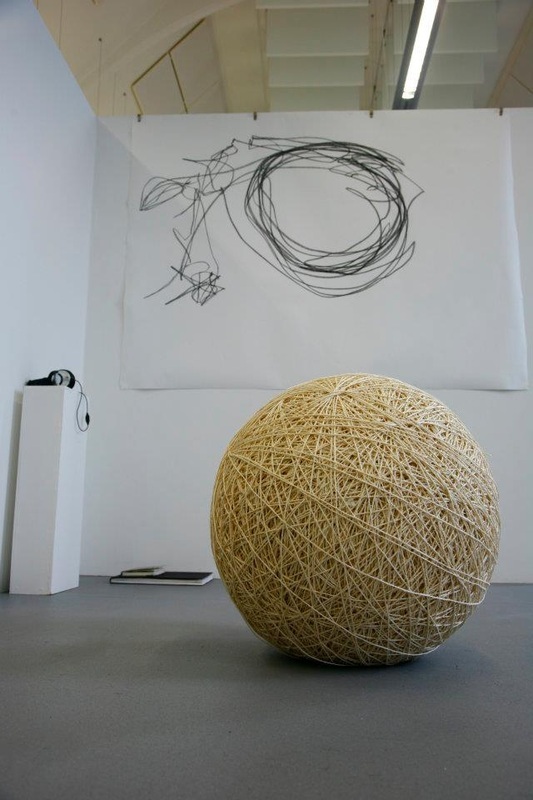 EIGHT MILES OF TWINE WOUND AROUND ITSELF IN TO A BALL TO REPRESENT A WEEKLY JOURNEY. 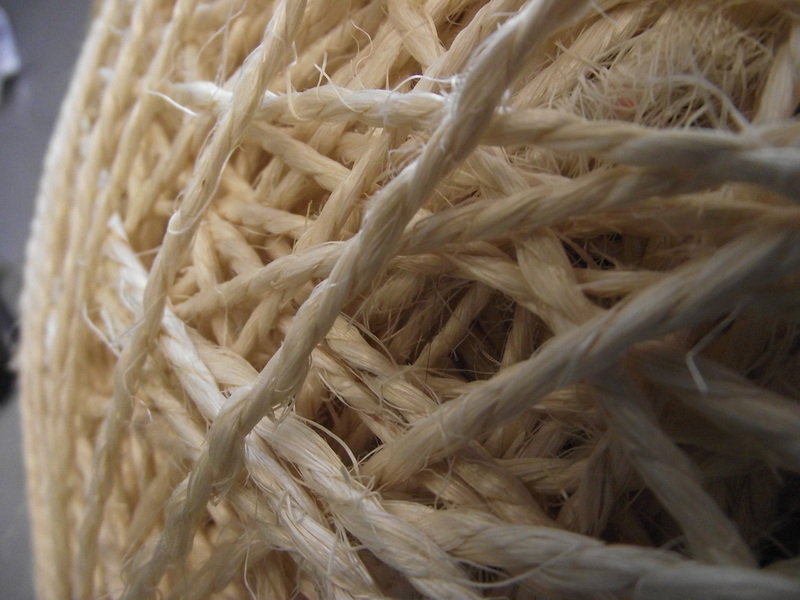 BEGINNING BY WRAPPING THE STRING AROUND THREE OF MY FINGERS, BUILDING IT UP UNTIL IT BECOMES TO BULKY AND STARTS TO SLIP OFF, THEN SLIDING IT OFF AND WINDING IT UPON ITSELF, WRAPPING THE STRING ROUND AND ROUND TO FORM A SPHERE. String Theory, 2012, mixed media. Installation view.